Being proactive is one of the best ways a company can avoid getting caught in any type of legal risk in the short or long term. One step you can take to protect your company is signing up for a Human Resources or HR compliance audit. Compliance audits are not uncommon and they can help you find out where your company may be making mistakes; some small but in some cases, some mistakes could lead to illegal activities that can be met with expensive yet avoidable fines and in some cases, jail time. Whether or not you have policies in place to ensure compliance, there is almost no way of knowing if employees are cutting corners or if you could be improving your processes or procedures. An HR compliance audit can help you figure both of these things out. Here are a few benefits of an HR compliance audit and why it’s in the best interest of your company to have one done. In the world of business, you need to spend money to make money. In terms of compliance, however, it’s a good idea to spend money to save money. It may seem counterintuitive, but noncompliance fees are higher than ever and companies are getting hit by them every day. For example, there are cases where small companies have had to pay upwards of $20,000 in fines for failures to comply with child labor laws. When you factor in laws pertaining to exempt vs. non-exempt classifications, meal break violations and paid sick time, you could be paying far more than this. Many of these laws may be hard to follow. Nonetheless, the fines will not be reduced or waived even if you didn’t know you were being noncompliant. 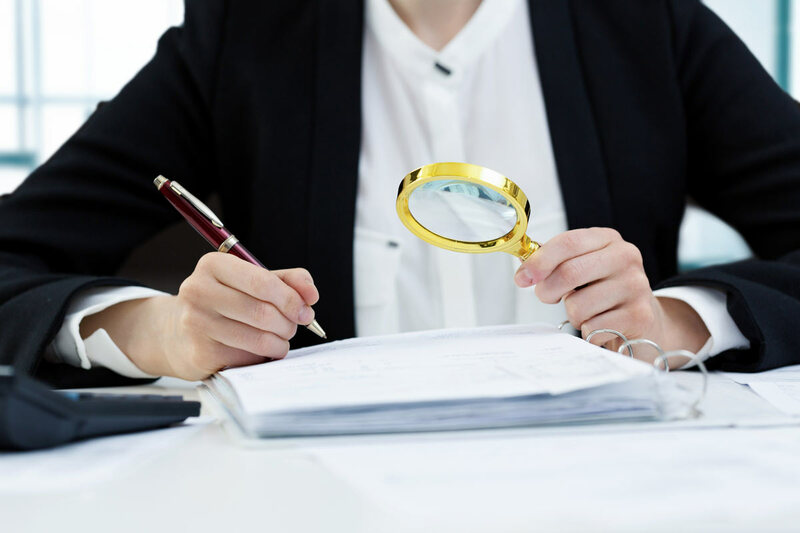 Documentation is important on many sides, from a company’s policies to a process that your company enacts or more importantly, documenting employee complaints or conversations taking place in an internal investigation. Without proper documentation, a company will undoubtedly fail to show it complied with certain rules and regulations. For example, if a sexual harassment training isn’t documented, how can a company prove CA AB1825 training compliance? Even processes such as onboarding a new employee or terminating staff must be audited for compliance or a company can face serious fines. Instead, compliance audits can make sure that each process is correctly documented and a step-by-step layout is established. That way, nothing is forgotten when procedures are taught and implemented when a company experiences staff turnover, thus avoiding noncompliance. Additionally, documentation helps to streamline your business, making it more efficient. This can ultimately cut costs and eliminate unnecessary procedures. Compliance audits are performed by seasoned HR professionals who are trained to find current issues as well as possible compliance issues in the future. These HR professionals can do a top-to-bottom assessment of your company, analyzing it with an eye on the latest laws and legation, while watching for upcoming trends and best business practices. With this assessment, these HR professionals may find other hidden issues or gaps that you had no idea were even noncompliant. For example, a new law may have recently changed or a strategy you employ may signal noncompliance elsewhere in the organization. These keen business savvy professionals can determine what issues can affect your business across the board. Does Your Company Need an HR Compliance Audit? If it has been a few years since your last handbook update, if you’ve never done an HR compliance audit, or if your company is going through changes, it may be time to call an HR Consultant. Ultimately, these HR Consultants are there to assist you and can ensure that your company saves money and improves its processes. If you’re interested in getting a top-quality assessment of your HR systems, policies, and procedures and help you take the next step to be more compliant, contact us for assistance. Our expert senior-level HR advisors/consultants will provide the very best for all of your human resources needs.